In vino veritas, and the truth is your standard wine glass just doesn’t cut it at the beach anymore thanks to this incredible new design. 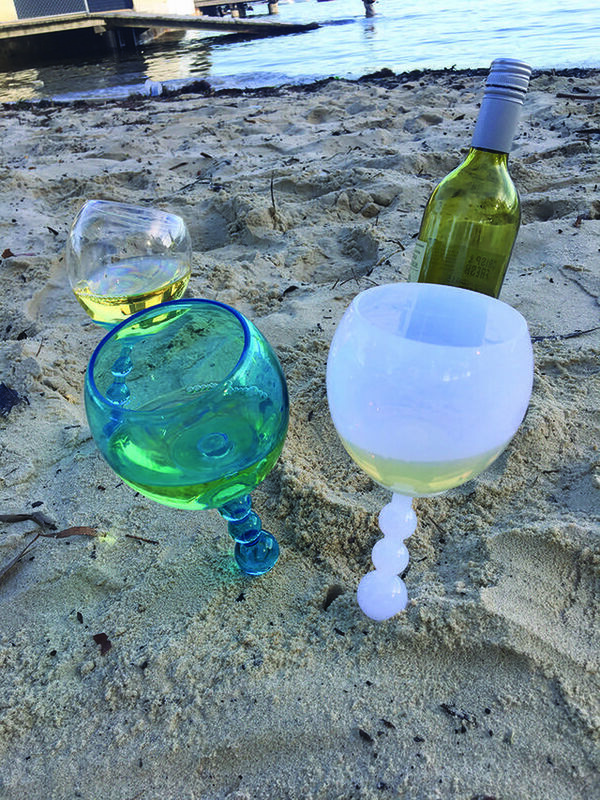 These affordable wine glasses which stick upright in sand and float on water to ensure not a drop is spilled in error. They’re basically the Jesus of wine recepticles. Unfortunately, these glasses can’t turn water into wine. According to delish, the Crofton Floating wine glasses are actually ‘sticks in the sand’. 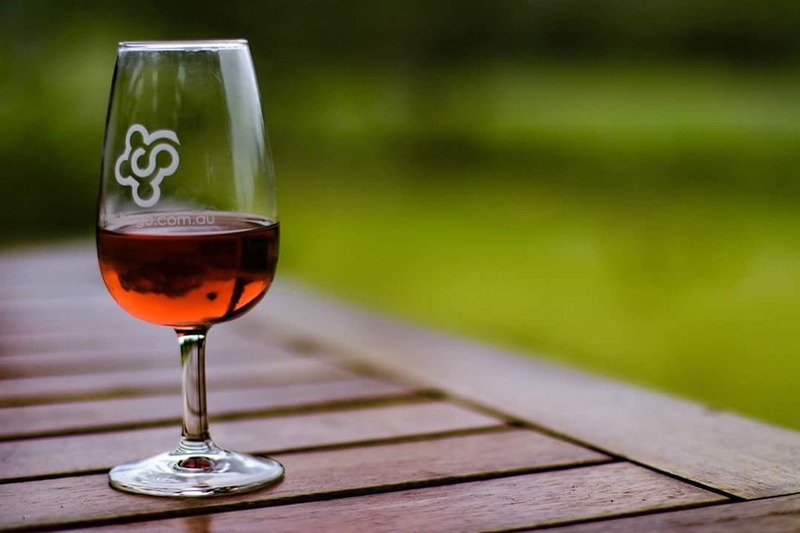 But instead of the normal round flat which you’d find on most wine glasses, you come across when you’re sipping your pinot noir, these ones end in a dull point which you can plunge into most beach grounds with force. They float too, meaning no matter where you are, whether it’s a swimming pool, the sea or your bathtub, you can bring your glass of wine with you. They come in a range of colours too, including turquoise, white, and clear shades. Furthermore, the glass’ stem is designed with round bulb accents which serve as stabilisers when it becomes flushed with sand. It has a 13.5-ounce capacity — which is the equivalent of half a bottle — therefore you eliminate the need to constantly refill, instead focusing your efforts on relaxing. The only drawback is they’re only available in the United States (boo!). However, there is light at the end of the tunnel as you can purchase them online from Aldi’s US store. If you’re looking for the perfect companion to your floating wine glass may I suggest Aldi’s cheap-as-chips inflatable paddling pool? Aldi is selling a number of products just in time for next week’s heatwave – with temperatures said to be going up to 28 degrees celsius – including a bat and ball set, water guns and pop-up tents. 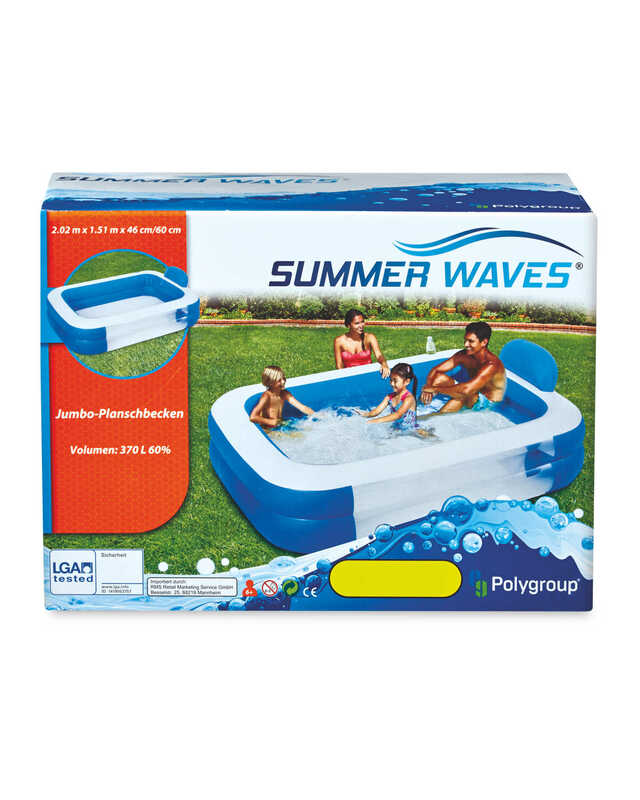 But it’s the paddling pool which has most people excited, and now is the perfect time to get one for your backyard. 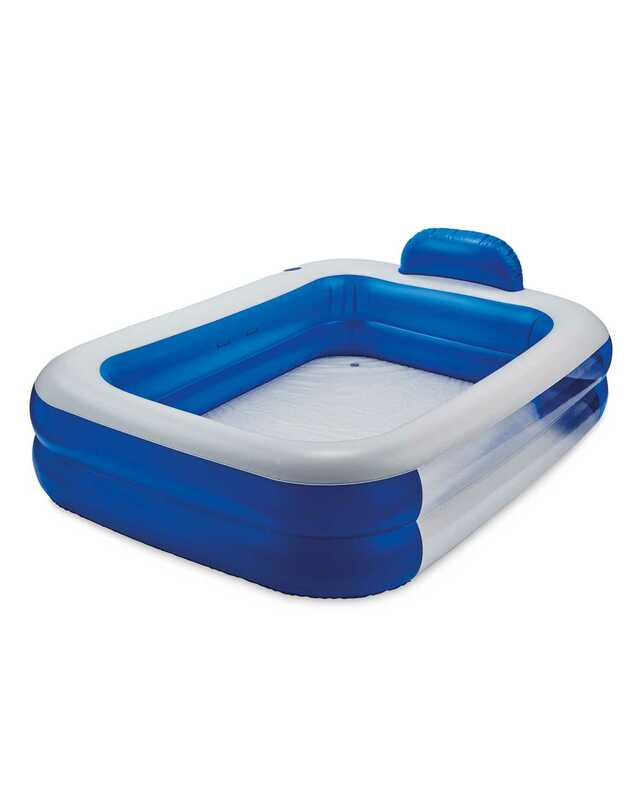 According to the Liverpool Echo, the Summer Waves Rectangular Pool is perfect for the entire family, it even comes equipped with built-in cup holders and a headrest. So if you’re hosting a World Cup pool party, this is the ultimate setup. It also comes in various colours and shapes, such as a blue rectangle or a green hexagon. You can buy it instore at your local Aldi or you can purchase it online. Thanks to the affordable price of £12.99 it means it’s cheaper than what their competitors have put out, like the Smyths Intex Family Swimming Pool and Tesco’s Rectangular Family Paddling Pool (both £24.99). Back in blighty, Aldi is also selling an eight-foot trampoline (£67.99) and a bouncy castle (£69.99) – both perfect for your hyperactive kids to do back and front flips on – until they land awkwardly and you have to take them to A&E, which is where you begin to think ‘we should’ve just sent them to summer camp’.